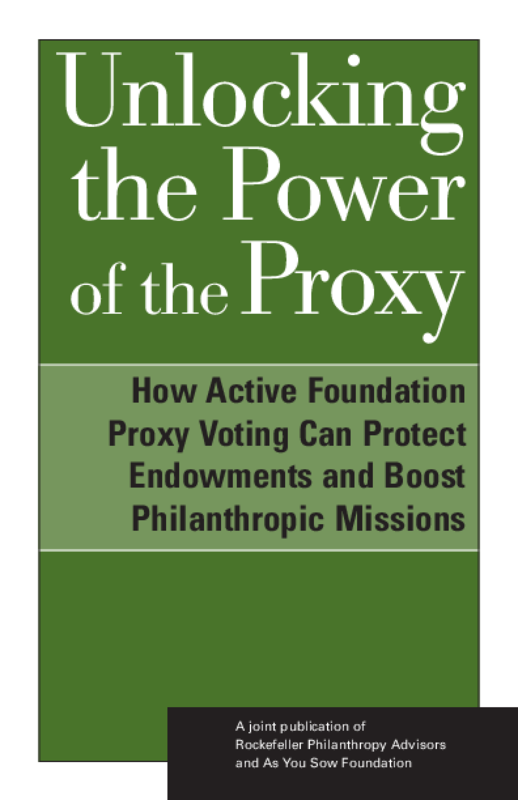 Outlines how active proxy voting on corporate governance or social issues can strengthen a foundation's charitable mission and long-term shareholder value. Offers a step-by-step guide to developing and implementing proxy voting guidelines, with examples. Copyright 2004 As You Sow.